Filter management : The standard bleaching system is based on the use of two filters of which one is on line while the other is being cleaned and prepared for the next cycle. When a filter has reached its maximum capacity, as indicated by high feed pressure, it is taken off line for cleaning and replaced by the other filter. The feed oil is heated to 65-70°c in the economizer by outgoing deodorized oil followed by feed heater (during start up). Concentrated phosphoric acid (0. 05 - 0. 10%) is injected by the acid metering pump and intensively mixed with the oil in the acid mixer before entering the conditioning reactor. The oil is discharged into the slurry mixer above the bleacher. A valve dosing system proportions bleaching earth. The earth is introduced under the oil spray in the mixing chamber for improved mixing so that earth does not enter the bleaching vacuum system. The oil is heated up to bleaching temperature in the first compartment of bleacher. The earth adsorbs any residual gums as well as trace metals, color bodies and other polar impurities. The bleacher has multiple agitated compartments and operates under vacuum to ensure complete moisture and air removal. The dried oil and earth mixture is discharged by the bleacher discharge pump to one of the filters where the spent earth is removed. The filtered oil is collected in the filtrate receiver. The bleached oil pump sends the oil to the bleached oil tank via one of the alternating polish filters. Crude oil is delivered to the system by the feed pump. 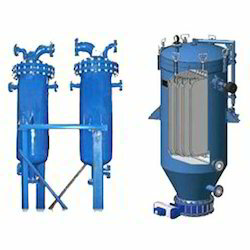 It is heated to 65 - 70 c in the crude oil economizer by hot oil from down-stream bleaching/deodorizing operations or, when necessary, by steam in the feed heater mixed with pre calculated quantity of phosphoric acid in a gum conditioning mixer the pre calculated quantity of water is added . Oil water mixture is fed to hydration tank to give sufficient residence time for gums to agglomerate on hydration. This oil is then pumped to separator where the oil and hydrated gums are separated and pumped to storage or disposal or gum drying plant in case of soybean gums. In the case of water degumming process, crude oil is heated to required temperature in the plate heat exchanger, mixed with pre calculated water through mixer and fed to the hydration tank for sufficient residence time for gums to agglomerate. Then it is pumped to separator where oil and hydrated gums are separated. 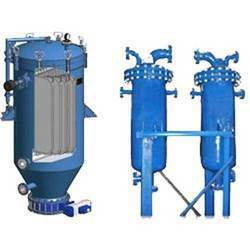 Water degummed oil from separator is pumped to plate heat exchanger where oil is heated to neutralization temperature i. E. Around 80 to 85 deg c. The hot oil is fed to mixer with requisite quantity of phosphoric acid where oil and phosphoric acid is allowed a brief holding time and the precipitation of trace metals take place. Bleached oil is continuously pumped from the feed tank by the deaerator feed pump. The oil is pre-heated in the deaerating economizer by outgoing deodorized oil followed by the deaerating heater (if necessary) before entering the deaerator. 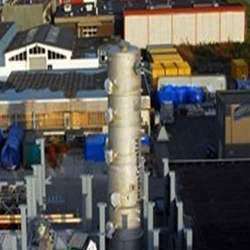 The vessel is under full vacuum, so that residual air is reduced to an absolute minimum. The deaerator discharge pump sends the oil through a heat economizer where the temperature is increased by hot deodorized oil. The oil is heated to full processing temperature in the vacuum heater by thermal fluid from the thermal oil heater. A portion of the free fatty acids in the oil will be flashed off in the heater. Stripping : the hot oil enters the packed column, which is filled with special structured packing so that the oil is distributed into a thin film and is evenly agitated by stripping steam flowing counter currently from the bottom of the column. As a result, free fatty acids and other remaining volatile impurities in the oil are evaporated and removed with the steam. The residence time in the column is only a few minutes. The bulk of the free fatty acids along with aldehydes, ketones etc. In the oil are quickly stripped off before any heat induced permanent damage has been done. Cooling : the deodorized oil is discharged by the product pump and further cooled to storage temperature in the deodorizing economizer , deaerating economizer, bleaching economiser and product cooler. The anti-oxidant is mixed with oil in the deodorizer. The finished oil is finally sent to storage via one of the alternating product filters. 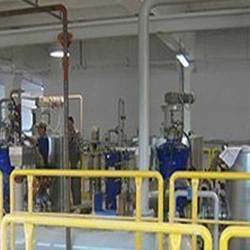 Distillate recovery : Fatty acids and other materials, evaporated from the oil, are condensed by contact with recycled and cooled distillate in the vapor scrubber. The distillate is circulated by the distillate pump via the distillate cooler where it is cooled by cooling water. Accumulated distillate is discharged from the scrubber to storage. Trans and tocopherol : The high efficiency (low amount of stripping steam) and short retention time of the stripping column, combined with the possibility to reduce the heat bleaching time or temperature, ensure optimum conditions for controlling the process. The oil can thereby be properly deodorized without the creation of trans fatty acids while also controlling the amount of tocopherol removed from the oil. Protection against air contamination : For optimum quality, especially when processing unsaturated oils, the oil should be protected from air contamination during the entire deodorizing process. The packed column type deareator ensures maximum removal of dissolved air before high temperature heating. This also helps minimize polymerization of the oil on the inside of the heat exchange coils of the heat economizer. Process control : The control, operation and supervision of the plant can be handled by one operator per shift. All main process parameters, if required, e. G. Flow rates, temperatures, liquid levels etc. Are automatically maintained from a control panel or, as an option, with the help of pid/pc based controls. Looking for Refinery Plants ?